We all know that specs aren’t everything when we talk about modern technology but with the wealth of options available these days, it doesn’t hurt to have a first line of defence when choosing your next smartphone. 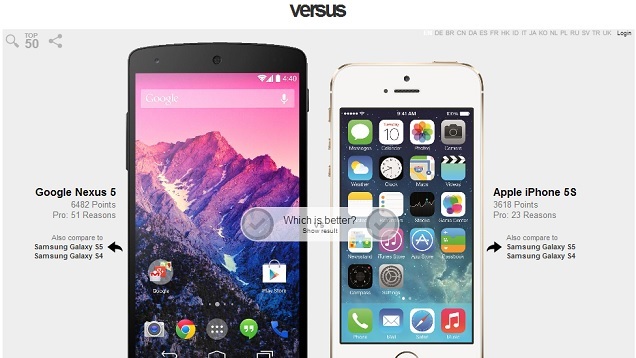 Versus is a tool that compares the tech specs of devices with another device of the same category. On top of that you’ll get crowdsourced reasons for either of the devices you are comparing. Versus allows you to compare Phones, Cameras, Tablets and even Universities and cities if you so desire. Again, raw specs aren’t everything, but with a tool like versus, it helps you make inroads to your final decision. Download the Versus app for Android here too!